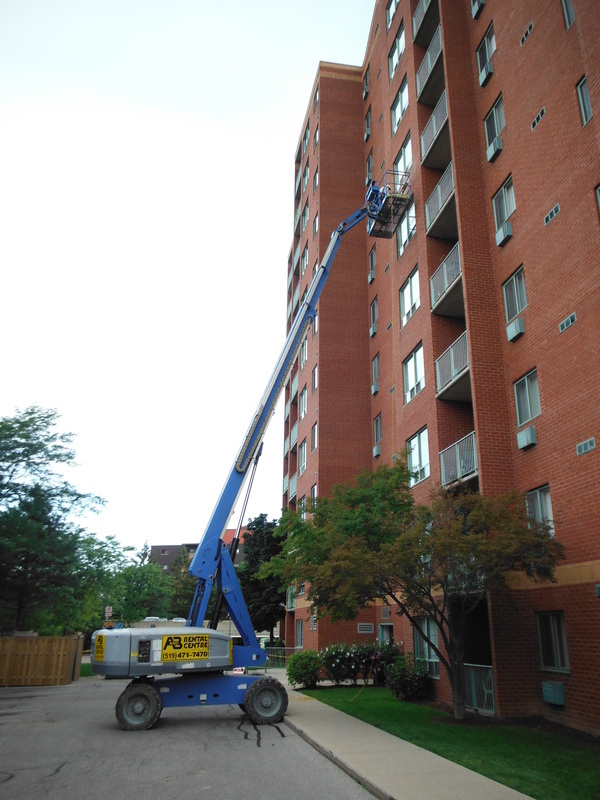 SBM has successfully completed a large number of structural investigation and restoration projects for owners, municipalities, condo corps, and contractors across Ontario. Our technical experience as structural engineers allows us to understand complex building systems, assess their performance, and identify signs of distress. Whatever the issue, SBM will work with the stakeholders to evaluate the condition of the existing structure, or specific building element, and determine how best to remediate any damage that is discovered. 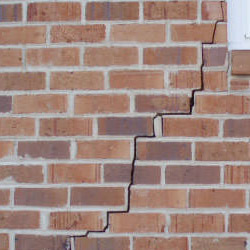 Retained by a condominium corporation to perform a condition assessment of the masonry brick veneer at their building. Despite recent repairs, brick faces were continuing to spall and pieces were regularly falling around the property. 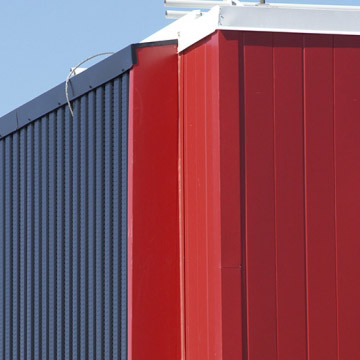 Through the use of a telescoping boom lift, SBA performed a detailed visual review of the building and created two test openings to review the hidden components of the wall assembly. 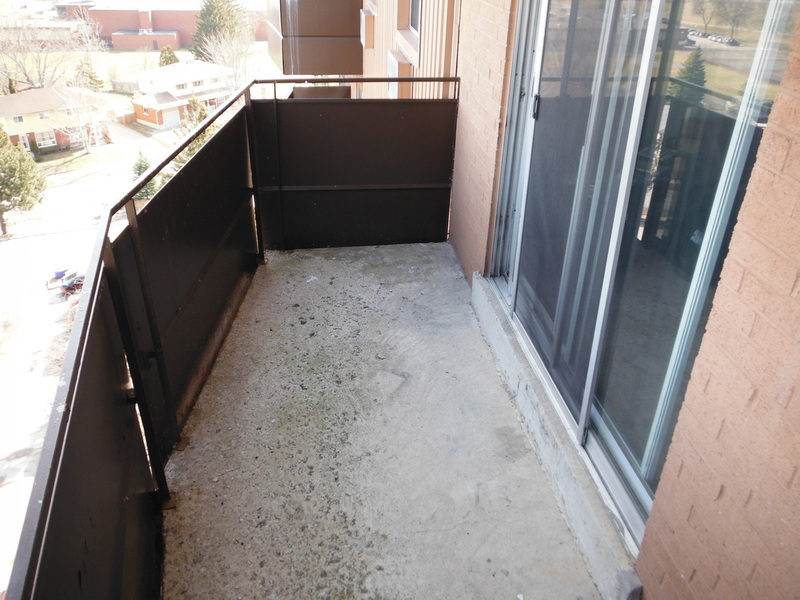 A detailed engineer’s report was generated for the condominium Board with results of the inspection as well as recommendations for repairs. 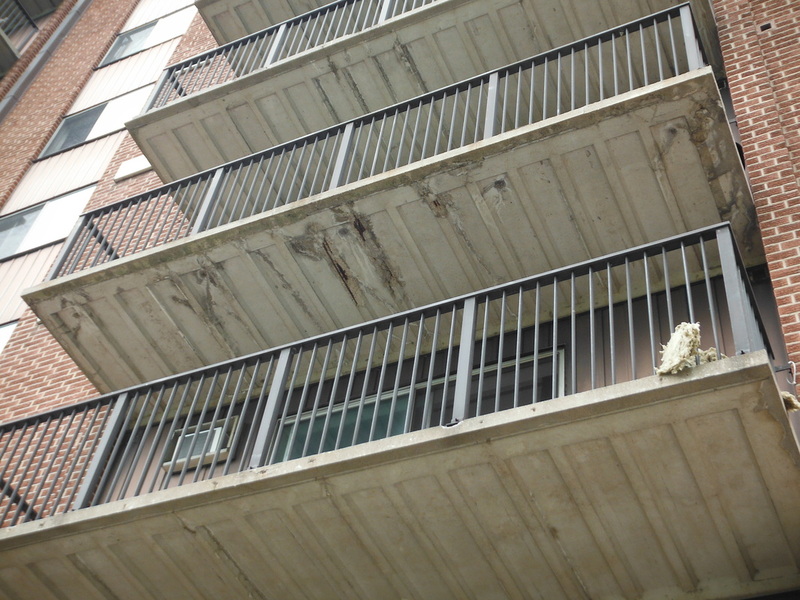 We were asked to perform a condition assessment of the existing concrete balcony slabs on this high rise building. Despite previous repair work, the slabs were visibly deteriorating and large pieces of concrete risked falling on residents below. The workmanship of the previous repairs was found to be poor, and in several cases patches had already broken apart. SBM collected material samples from the slabs for laboratory testing, and proposed a restoration strategy to address the root cause of the deterioration. 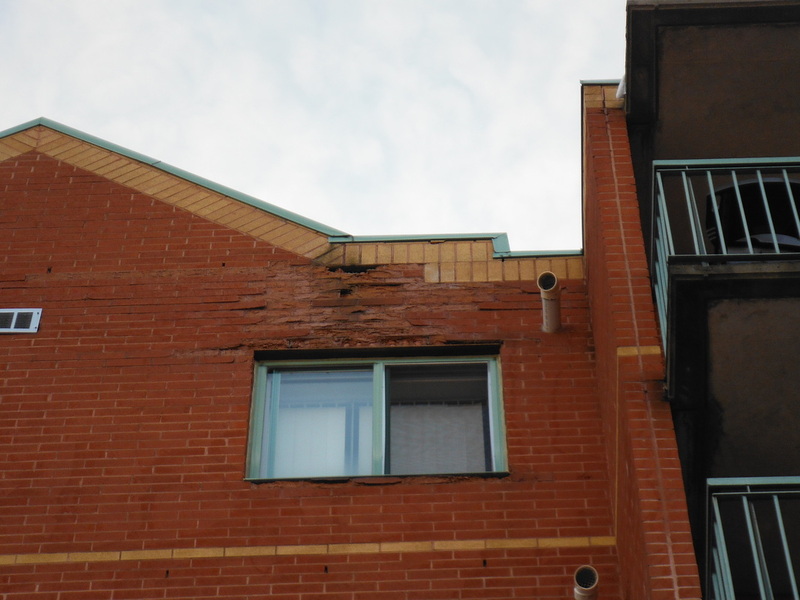 We were called out to review the severe deterioration of the brick veneer at this property. Poor flashing details and undersized window sills were failing to adequately direct rainwater away from the building face. The brick veneer, a porous material, was therefore absorbing the water and not drying out. During the winter, the absorbed water expanded into ice, causing the faces of the bricks to spall off under the outward expansive pressures. 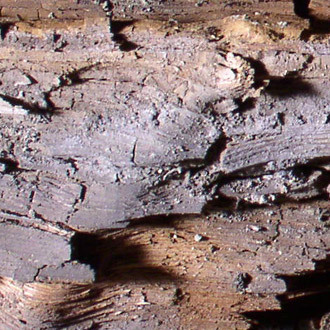 Over time, the damaged brick absorbs more and more water, leading to accelerated deterioration of the veneer. Severe pitting from freeze-thaw cycling had allowed water to penetrate into the concrete and reach the embedded reinforcing steel. 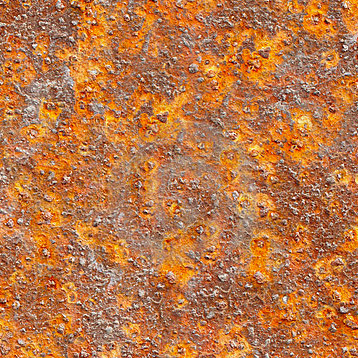 Corrosion products, taking up a larger volume than the original steel bars, cause outward bursting stresses. Concrete, which is weak in tension, cannot resist these stresses, and so delaminates. To repair, unsound concrete must be removed, the embedded reinforcing steel cleaned and treated to prevent further corrosion, and new concrete repair materials placed to restore the integrity of the slab. A waterproofing membrane is then applied to prevent further ingress of moisture, particularly at the joint between the new and old materials. We were retained to perform a condition assessment of the cantilevered concrete balcony slabs as part of an overall building condition study. During our review, SBM found that the embedded reinforcing steel had insufficient clear cover to the slab surface, in many cases less than 1”. Reinforcing steel forms a passivating layer in alkaline environments such as concrete, which protects the embedded reinforcing steel from the corrosive effects of air and water. However, as carbon dioxide in the environment permeates into the concrete, the alkalinity drops and the protective layer is lost. While it would typically take decades for carbonation to reach the depth of the reinforcing steel, the shallow concrete cover is quickly penetrated and corrosion begins. The location of the drip slot in the slab soffit can also locally compromise the clear cover at the nose of the slab, and is a leading cause of deterioration in the industry. Snow and salts are tracked in on vehicles as they enter a parking structure. The snow melts, depositing these materials on the slab below. Untreated, this salt-laden water migrates through cracks and pores in the concrete, reaches the embedded reinforcing steel, and it begins to corrode. 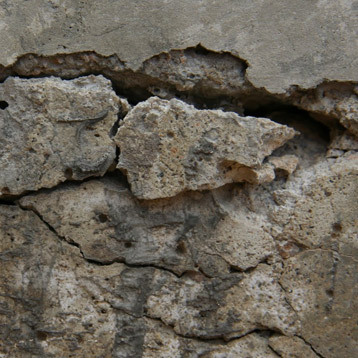 As corrosion progresses, larger cracks and delaminations form, increasing the rate at which chlorides penetrate into the concrete and accelerating the deterioration. 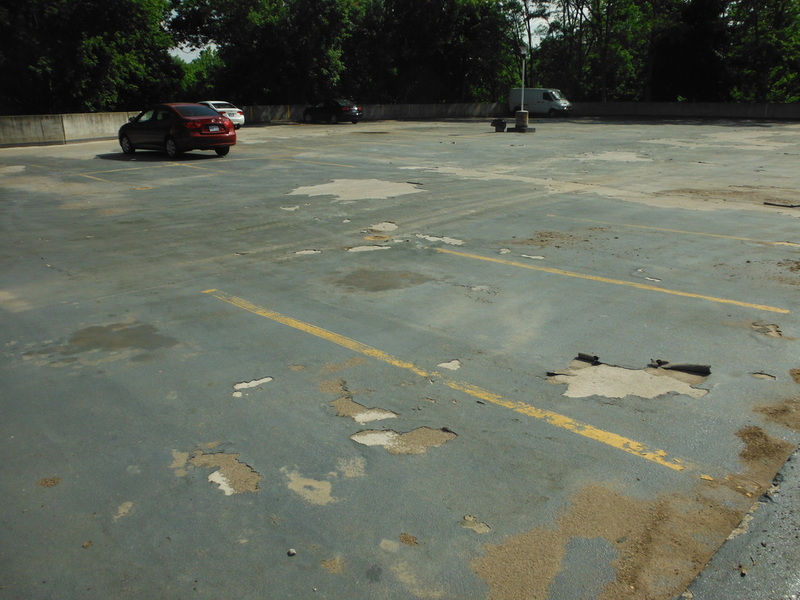 We were retained to evaluate this existing parking structure and provide repair details for restoration. The existing traffic membrane had failed, and was allowing chloride-laden water to infiltrate the concrete deck and become trapped. Over time, this moisture ingress lead to chloride attack and freeze-thaw damage, fracturing and delaminating the concrete and rendering it unsound. The original garage design had also omitted drop panels, and the existing columns were beginning to punch through the slab. Material samples were taken to evaluate the composition of the in-situ concrete, and a structural analysis was carried out for punching shear resistance. Restoration details were prepared to remove and replace all unsound concrete, as well as introduce new concrete drop panels at each column for improved shear resistance. 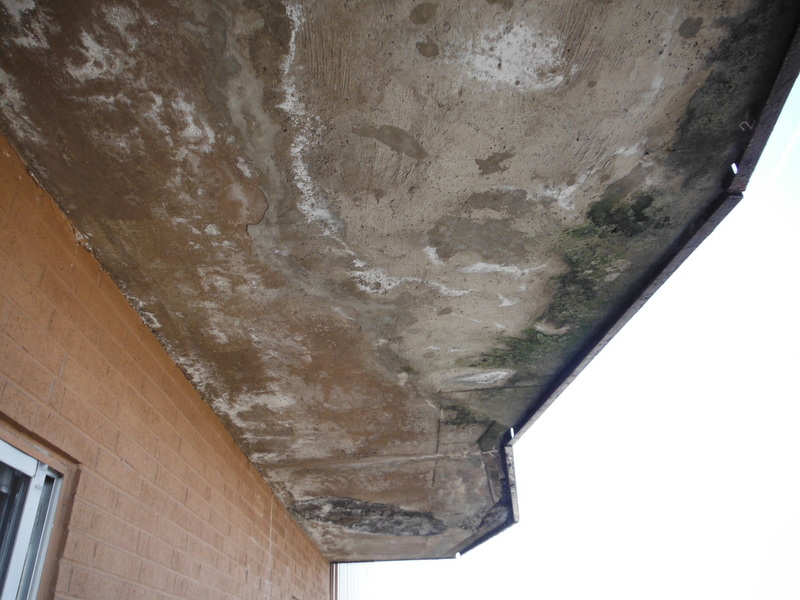 Corroded / Compromised Structural Beams, Columns, Joists, Decks, etc.